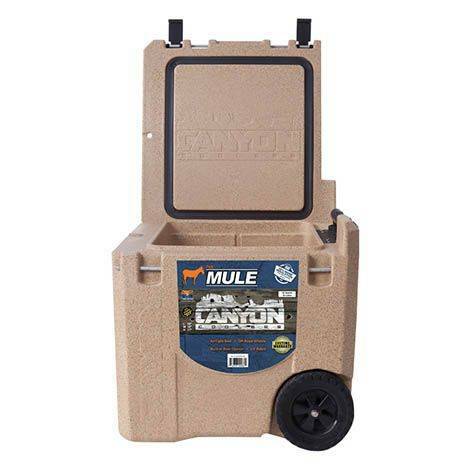 The Mule Adventure Series Coolers by Canyon Coolers provides the longest ice retention and the toughest construction of any premium rotomolded cooler on the market. Extra features like 12+ built-in tie down points, innovative bungee net system, incomparable insulation and a Lifetime Warranty guarantee a rotomolded Adventure Series Cooler by Canyon Coolers to be the last cooler you’ll ever need. Rafters, angles, and boating enthusiasts: Get on-board with the new gold standard in ice retention. Mud, blood and beer is just another day to the Canyon Cooler Adventure Series. Tougher than any boot leather, stubborn, shameless and indomitable, the Adventure Series encapsulates the spirit of a pioneer operating at the edges of where the unknown meets the truly wild. We designed and built our Canyon Cooler Adventure Series as a labor of love and a stand-up salute to those who explore and seek such places on their own terms. With an average of 2.7 inch thick insulation on all six walls, ice retention is better than any cooler on the market. Built in tie-down points, No-Lose drain plugs, and brutally tested rotomolded, food-grade, UV resistant, kayak plastic construction guarantees a cooler that will put up a fight. 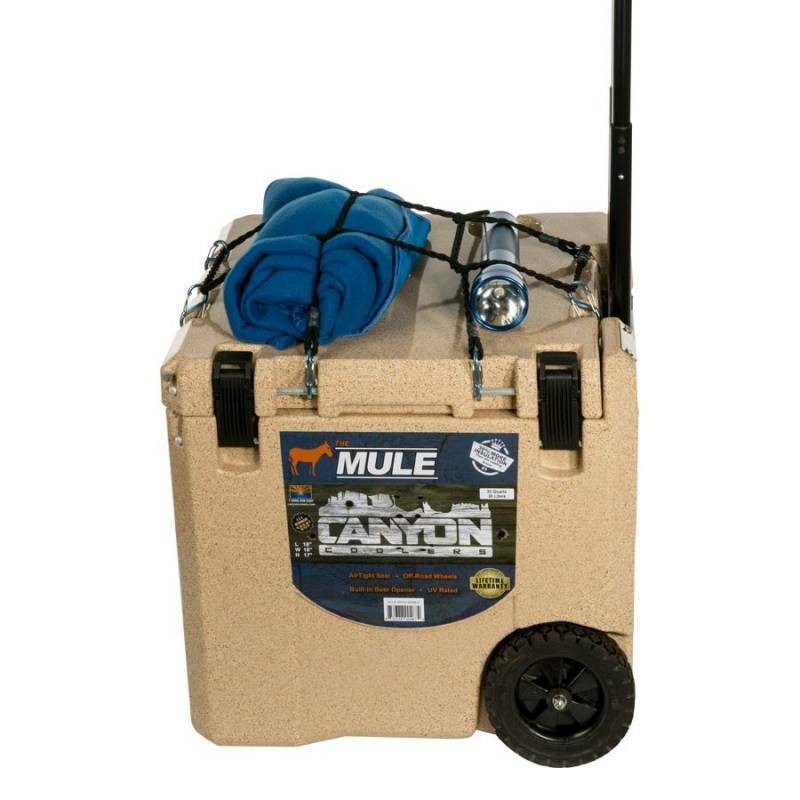 Newly designed cam latches, innovative bungee net system, and a high clearance wheeled cooler are just a few of the features you’ll see on the Adventure Series Canyon Coolers. With sizes ranging from 103 quarts to 20 quarts, there’s an Adventure cooler that will fit your need. 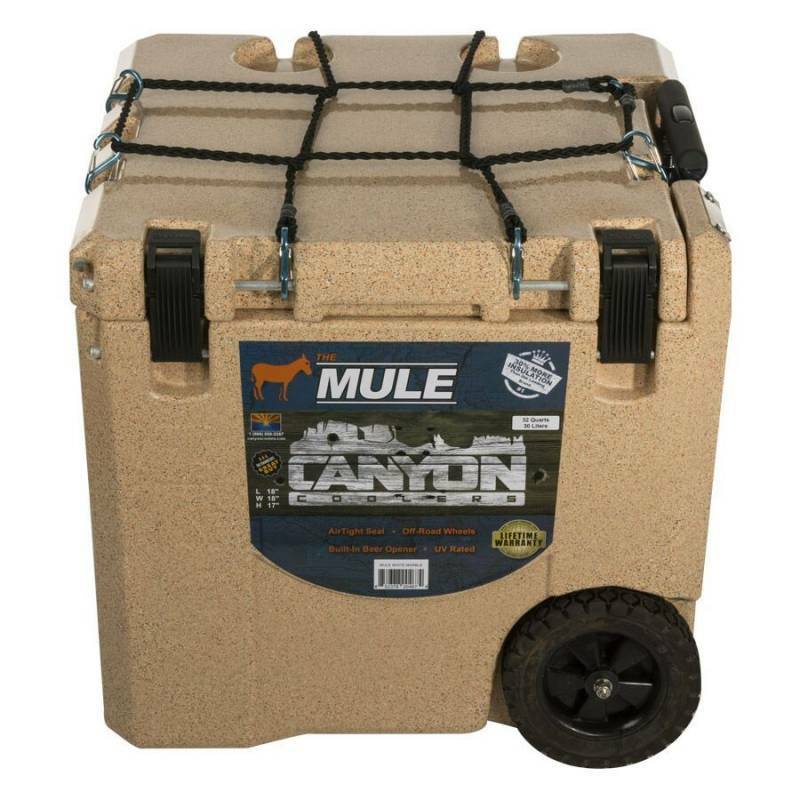 Pair a basket, or four, with a Canyon Tie-Down Kit, and a Canyon Hasp Lock for the toughest, most secure cooler ever. 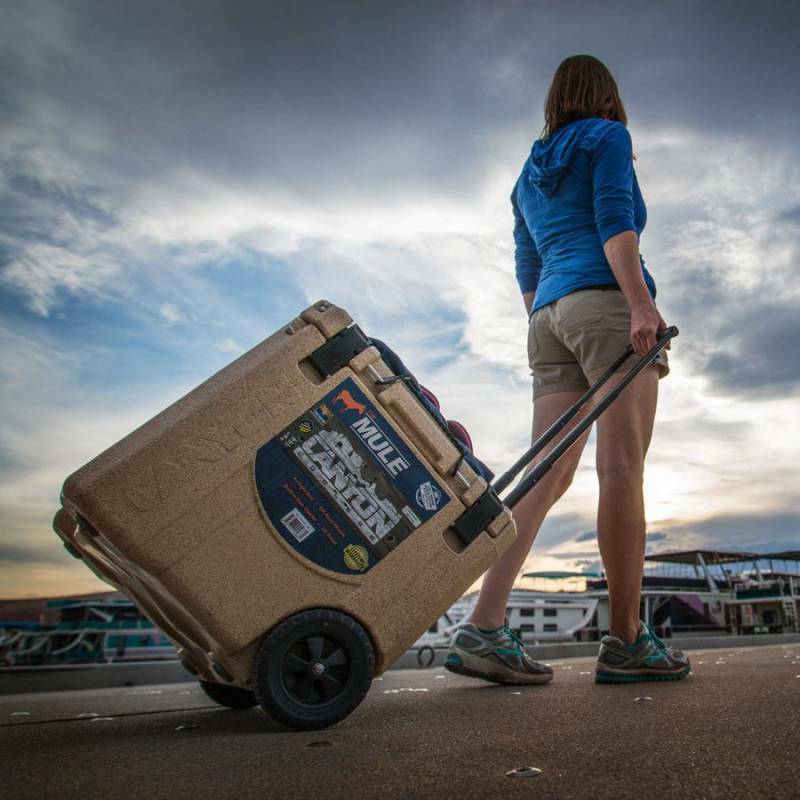 Our outstanding and unheard of Lifetime Warranty protects your investment for life, your Canyon Cooler will be the last cooler you’ll ever need.